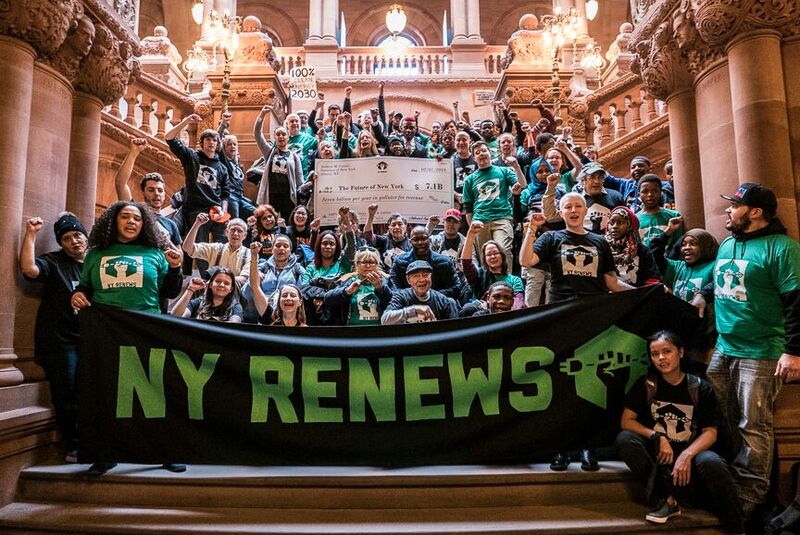 You may receive updates from NYRenews Coalition, the sponsor of this form. We've seen the devastation that worsening superstorms have brought New York, Houston, Florida, and Puerto Rico and we cannot wait any longer to act. Our health, our economy, and our communities are at risk. Since the Federal Government won’t do its job, New York can and must lead. We can fund the transition to 100% renewable energy by making corporate polluters pay their fair share for the damage they cause our health and safety. In 2019, NY Renews aims to introduce a second piece of legislation to embody this value. Studies have shown a modest fee on corporate polluters in NY can raise $7B per year. When we reinvest the funds in a renewable economy, we can create 150,000 jobs per year for our state and jump-start the transition we need to a safe future for all. Join our campaign to win climate solutions that are designed to reverse the impacts of racial and economic injustice at the same time. Sign up to stay in touch!